Mini-Comics Day will be happening this year on Saturday March 12th. Mini-Comics Day is an annual event celebrating the art of cartooning and creating hand-made comic books (the first event was held April 9th, 2011). It happens on the second Saturday of March every year. Mini-comics have been democratizing the art of making comic books since the 70’s or earlier… with the popularization of photocopiers, it became apparent that anyone with an inclination and some spare change could print a little comic book. 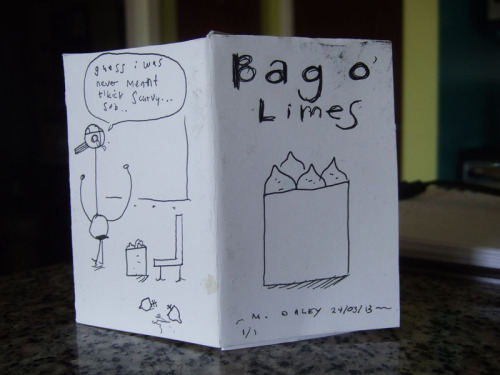 Wildly varying in both form and content, mini-comics are a wonderful synthesis of cartooning and hand-made art objects. Guidelines: To participate, create a mini-comic from start to finish on Mini-Comics Day (including writing, drawing and printing it). You can make your mini-comic by yourself or with other artists. Format: Your mini-comic can be any size, length and format you desire. A standard mini-comics size would be eight 4.25″x5.5″ pages (which can be made from one 8.5×11 sheet of paper printed on both sides). Help: For more information on how to make a mini-comic, see the Cartoonist Conspiracy’s mini-comic tutorial How to Make Mini-Comics. More resources can be found here. Submit: Optionally, you can post information and/or images from your comic on this blog. Contact for an account to post here. Bonus points: If you are working with a group of cartoonists, you may want to consider collecting your mini-comics together to distribute as a set. Bags, rubber bands, or boxes all work great for this purpose. Events: Mini-Comics Day events will be organized at different locations around the world. You can read more about how to organize an event in our FAQ. 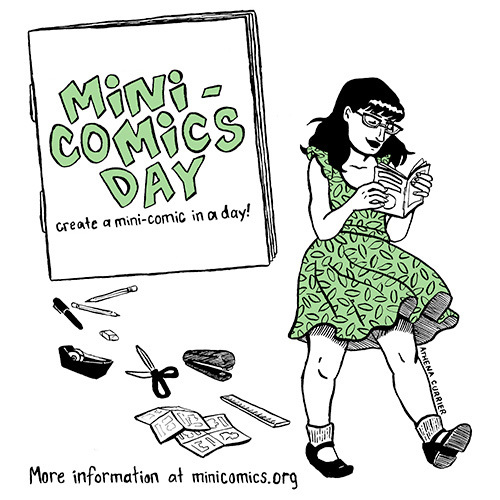 The purpose of Mini-Comics Day events is to provide a place for cartoonists to draw and/or print their comics, and possibly to trade or sell their minis if they choose to. If you would like to organize an event, you can contact us at and we can set you up with an account on this blog to post whatever you would like on the Mini-Comics Day blog about your event. About The International Cartoonist Conspiracy: Founded in Minneapolis in 2002, The International Cartoonist Conspiracy is a loosely organized group of cartoonists with cells all over the world. The Conspiracy has been responsible for many collaborative projects, including anthologies, gallery shows, and numerous jams every month. Any cartoonist anywhere can start a cell, and anyone with a desire to draw comics is encouraged to participate. March 14th, 2015 is the date for the fifth annual Mini-Comics Day, celebrating the art of cartooning and creating hand-made comic books (the first event was held April 9th, 2011). Mini-Comics Day happens on the second Saturday in March every year. If you would like to organize an event, you can contact us at and we can add your event to our event listings. 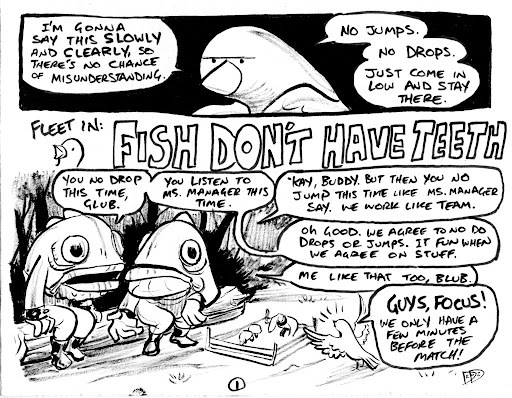 In future years, Mini-Comics Day will always be occurring on the second Saturday of March.